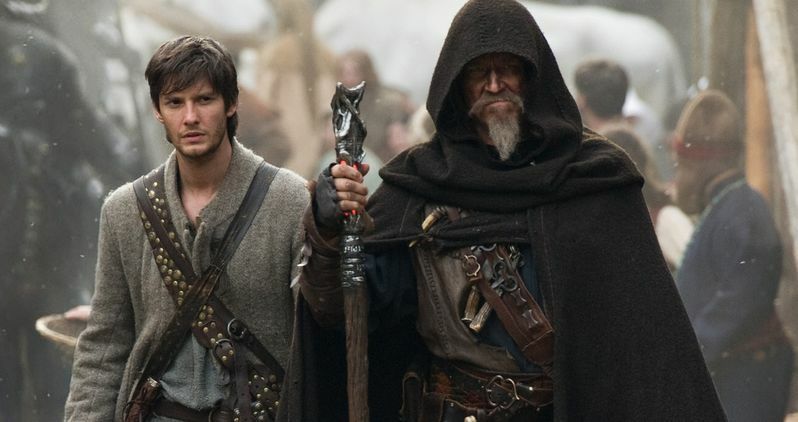 Following the second domestic trailer released in August, Legendary Pictures has debuted the first international trailer for Seventh Son. Originally set for release by Warner Bros. in 2013, Legendary brought this project to Universal Pictures through its new deal with the studio in August 2013, with a release date now set for February 6, 2015. In a time long past, an evil is about to be unleashed that will reignite the war between the forces of the supernatural and humankind once more. Master Gregory (Jeff Bridges) is a knight who had imprisoned the malevolently powerful witch, Mother Malkin (Julianne Moore), centuries ago. But now she has escaped and is seeking vengeance. Summoning her followers of every incarceration, Mother Malkin is preparing to unleash her terrible wrath on an unsuspecting world. Only one thing stands in her way: Master Gregory. In a deadly reunion, Gregory comes face to face with the evil he always feared would someday return. Now he has only until the next full moon to do what normally takes years: train his new apprentice, Tom Ward (Ben Barnes) to fight a dark magic unlike any other. Man's only hope lies in the seventh son of a seventh son. Take a look at the latest footage from director Sergey Bodrov's fantasy adventure. co-starring Kit Harington, Olivia Williams, Antje Traue, Alicia Vikander and Djimon Hounsou.